SEAL FETE IS ON THE HORIZON ! Seal Village fete takes place on Saturday 10th Sept from 12 noon to 4 pm. There will be a wild west theme, with a bucking bronco to ride (or fall off! ), real horses to ride and lots of other stalls, attractions and games. We urgently need more people to help on stalls and with setting up. Please don't be shy - we need you! If you can help, please contact Marion by email or on 01732 763727. 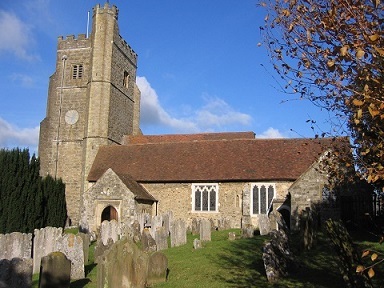 Every Saturday during August there will be a churchyard working party between 9 and 11am. We will be undertaking various minor maintenance and gardening jobs, and all help is welcome. Please bring gloves and any other equipment you think might be useful. All ages are welcome. On Sunday Aug 28th there will fun and game on Seal Recreation ground from 4 -5.30pm. All ages are welcome, and all equipment provided for a fun afternoon. Bring a picnic if you'd like to. No need to book - just turn up.